Serena Williams gives umpire Carlos Ramos a piece of her mind. 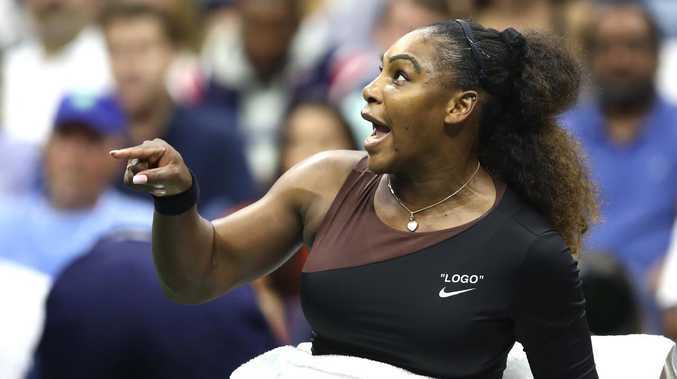 CARLOS Ramos, the tennis official at the centre of the Serena Williams sexism storm, has defended his actions in the US Open final. The experienced Portuguese official found himself at the centre of a storm after his officiating of the match between Serena Williams and Naomi Osaka, which saw Williams accuse him of sexism after she was docked a game for receiving three code violations. 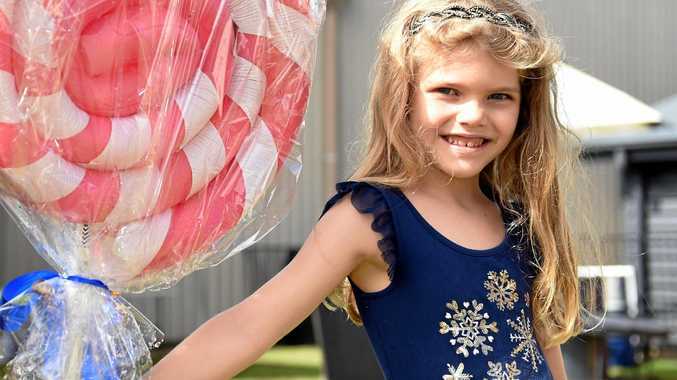 First she was warned after her coach Patrick Mouratoglou was seen communicating with her via a hand gesture and then she was docked a point after smashing her racket. The 36-year-old, who was chasing a record-equalling 24th grand slam title, received further punishment after verbally abusing the umpire, calling him a "thief" and a "liar" in a heated exchange that went on for some time. 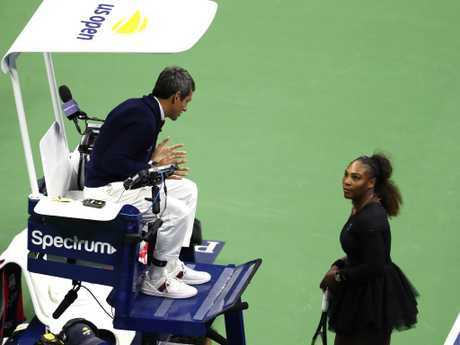 After Ramos had to be escorted off court, Williams used her post-match press conference to suggest that men avoid such punishment for similar on-court behaviour. But speaking to Tribuna Expresso in his native country, Ramos indicated he was at peace with his decisions because he didn't pick and choose when to apply the rule book. "I'm fine, given the circumstances," he said. "It's a delicate situation, but a la carte arbitration does not exist. Do not worry about me!" If Ramos is public enemy number one in the United States after his clash with Williams, the Yanks are going to have to get used to him. Ramos will return to the umpire's chair for this weekend's Davis Cup clash between the US and Croatia in a somewhat curious appointment. US Tennis Association head Katrina Adams can't be thrilled about facing Ramos so soon after siding with Williams in the wake of the match. "We watch the guys do this all the time, they're badgering the umpire on the changeovers. Nothing happens. There's no equality," Adams told ESPN. "There has to be some consistency across the board. These are conversations that will be imposed in the next weeks." Ramos was supported - albeit belatedly - by the International Tennis Federation (ITF), who said he acted with "professionalism and integrity" while the Women's Tennis Association had earlier backed Williams' claims that she received unfair treatment. But the ITF have further shown their support by putting Ramos in charge of the Davis Cup semi-final, which will be played this weekend in Zadar. It comes after a source told The Times some umpires are considering refusing to officiate matches involving Williams in the wake of her attack on Ramos. News The meal is in honour of Pastor Abraham Singhz.